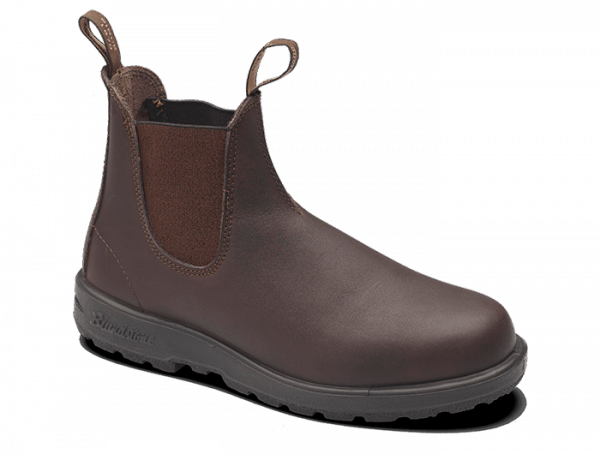 This style has that classic Blunnie look, in a water resistant premium leather. 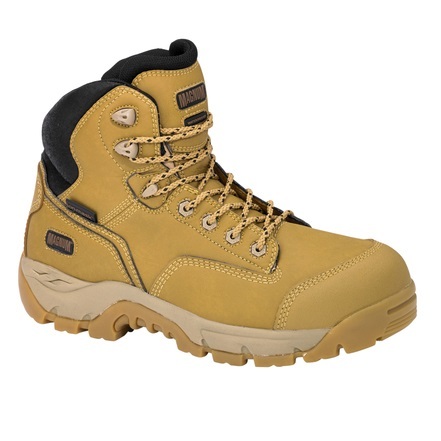 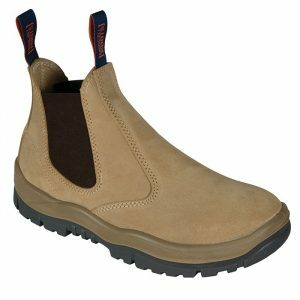 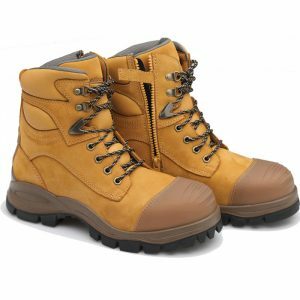 A general all-purpose work boot without a steel toe cap that’s also oil, acid and fat resistant. 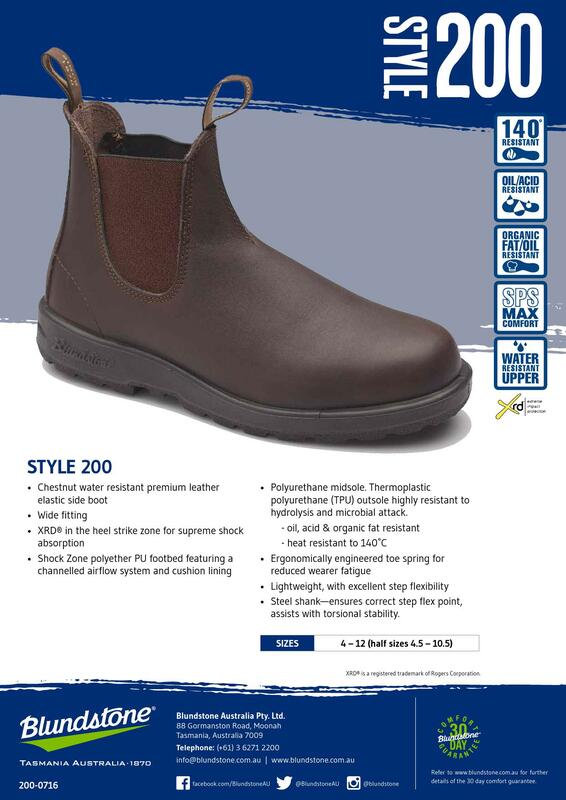 Wide fitting, with XRD® in the heel strike zone for supreme shock absorption and a removable comfort PU footbed featuring a channelled airflow system and cushion lining. 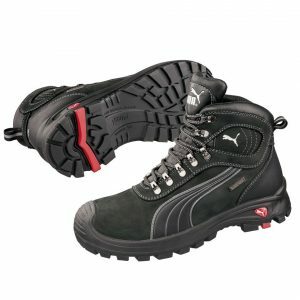 Polyurethane midsole. 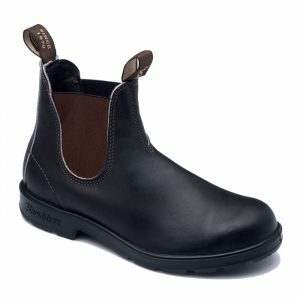 Thermo urethane outsole highly resistant to hydrolysis and microbial attack.